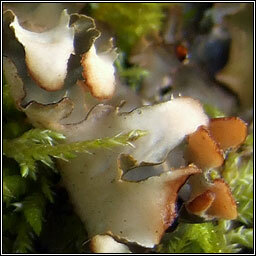 Common on rocks, soil, tree stumps, peat, sand and among short grass. 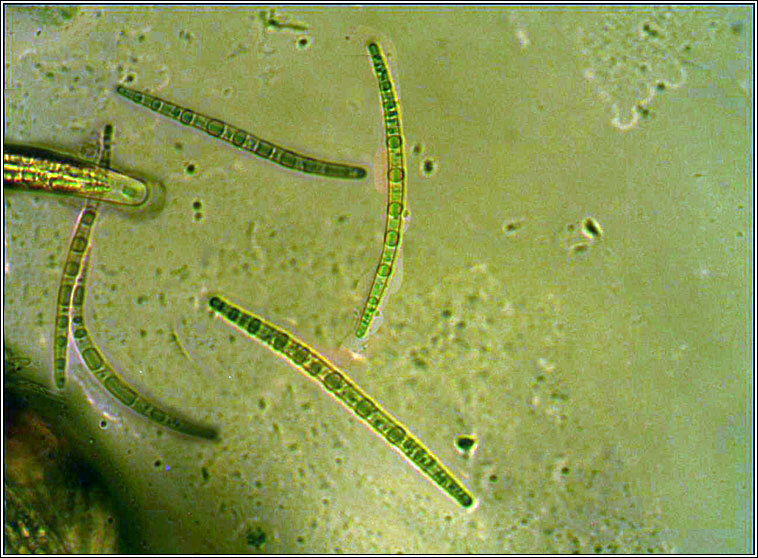 The thallus has large grey-brown, smooth, +/- shiny lobes that become greener when wet. Abundant erect, reddish-brown apothecia. 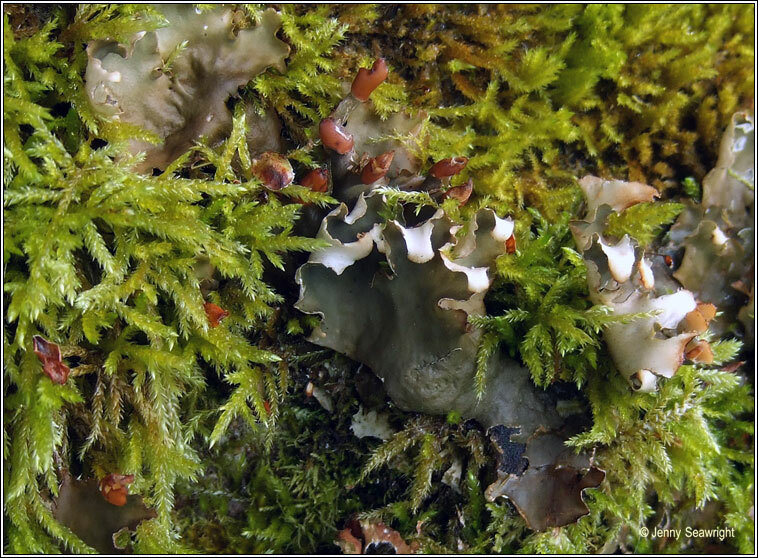 Underside of lobes have flattened veins and simple rhizines with tufted tips. 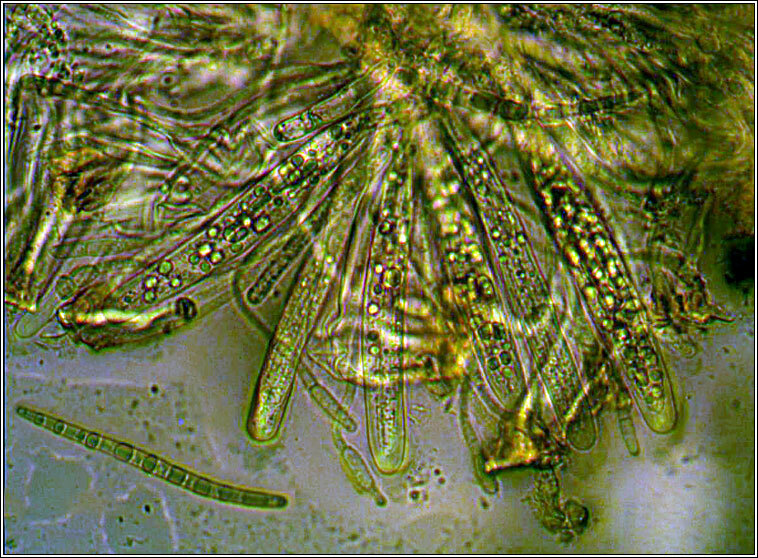 Asci 8-spored, spores 3-7 septate, 50-80 x 4-5 µm. Micro photographs below.